Proptek sleeve and tray systems are becoming ever more popular for plants that can withstand, or need, a large amount of automation. Significant time and cost savings can be made by turning from “loose fill” to the Ellepot®/Proptek system – especially since the talk of rising labor rates in recent months. 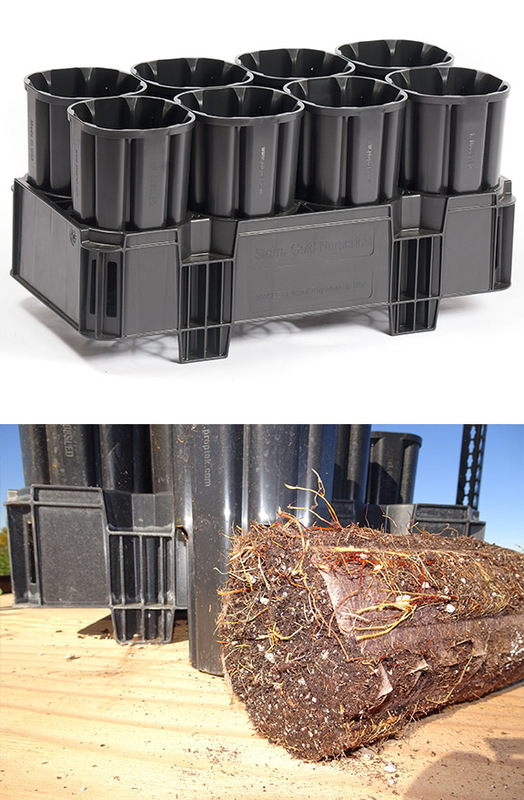 With the Proptek 8 Cell Sleeve and Tray propagation system, you’ll reap all the benefits of all Proptek propagation trays, such as our air pruning technology and super long life construction, but with the added bonus of time and cost saving with automation.